Plastic Masterbatch Pelletizing Granulating Line is composed of two sets of extruder to form the main body, with reasonable design, applied to the recovery of high water content film and all kinds of foaming material, which has remarkable effect and can ensure the sol mixing effect and particle density. Vacuumexhaust system increases exhaust volume, making the volatile off more completely. The optimization of the forced feeding system greatly increases production capacity. 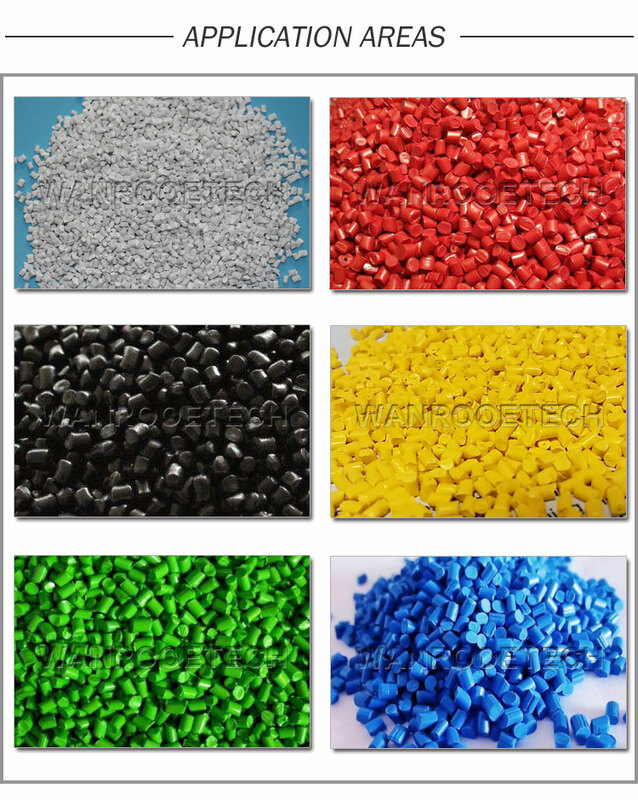 Applicable to the production the pp /pe /pet /ps regeneration of a variety of plastic and color mixing granulation . Gearbox design with high torque , low noise and smooth running performance . Screw, barrel after special surface treatment , wear, mixing effect , high yield characteristics . Vacuum exhaust or design natural exhaust port , the production process will exclude water, waste gas , resorted more stable, more dense , to ensure the good quality of the product . According to different uses and production of pellets , to select appropriate models with to flat shaped twin screw extruder . Material shapes:film,printed LDPE film,film(rolls,loose,bundled), agriculture film waste, this type machine also be suitable for the bag,woven bag,foamed plastic(EPE),raffia and hard flakes.